Action C2 - Buoys Park to delimit the perimeter of SCI "Sand banks of Tor Paterno"
The action is completed by the allocation of 4 buoys. The action previews to delimit the entire surface of the SCI by the purchase, the installation and the positioning of 4 buoys of signalling with luminous system, allocated, in order to delimit the area in which it is forbidden the peach, the motor navigation and the anchorage. The access to the area will be restricted. The action will allow the conservation of the priority habitat of the Posidonia beds. 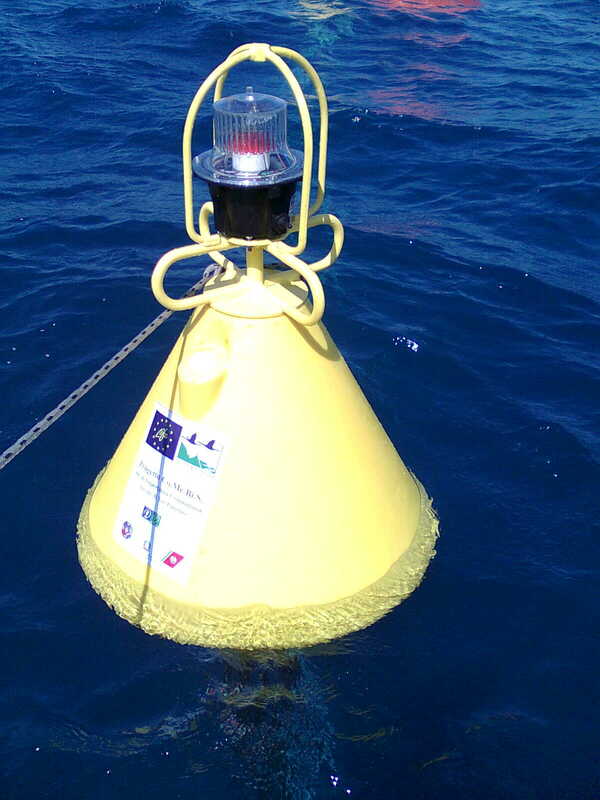 The purchase of the 4 buoys and their installation will come entrusted to one specialist private company of recognized national reputation. Previous experiences in the context of LIFE-Natura (i.e. Protection of coastal and marine habitats in the Southern Tyrrhenian SCIs - Blue Oasis of Isca - WWF Italy) will be estimated and analyzed The action will be coordinated in collaboration with Roma Natura (Agency of Management of the area). In order to satisfy the philosophy of the LIFE Nature, the area will not be close to the public (like with action C.1).